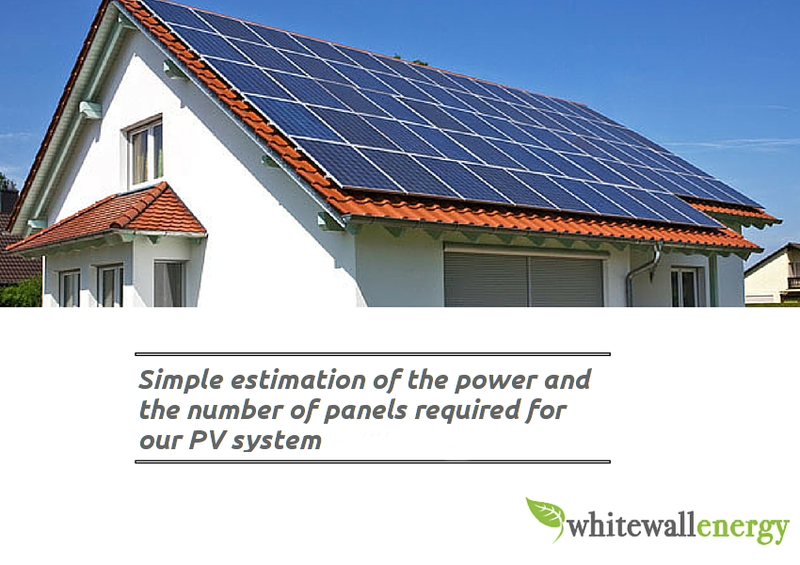 Using as an example the case of Spain and by a simple simulation, we are going to estimate how much power and the number of panels required for our PV system. All this will depend on factors such as hours of sunshine received per year, the region we are living in, the correct orientation of the solar panels … According to the National Geographic Institute, Spain receives around 2,600 and 2,800 hours of sunshine a year. This information is important for not to fall short during the months of lowest solar radiation, which tends to increase the electricity consumption, since there are fewer daylight hours, colder temperature and we spend more time at home. Once we have determined the proper installation place, we must decide how many batteries we’ll use depending on our consumption. Keep in mind that when sizing batteries, these should not be downloaded below 50% capacity. So when we think of the capacity of the batteries, we should think in the worst: a cold and rainy winter day. In a standard housing in such a day it could be spent 15kWh, which resulted in amps battery is 625Ah 24V (15.000W / 24). So to spend a day “eating” batteries, need a 1.250Ah and 24V, in two days of rain, one of 2.500Ah etc. As for the amortization for such facilities it is estimated to be completed in 4 or 5 years, considering that the life of the plates RSP250P Rekoser is about 25 years. Finally, the installation must be performed by a qualified technician that can always provide solutions to our photovoltaic isolated system and connected to the network.